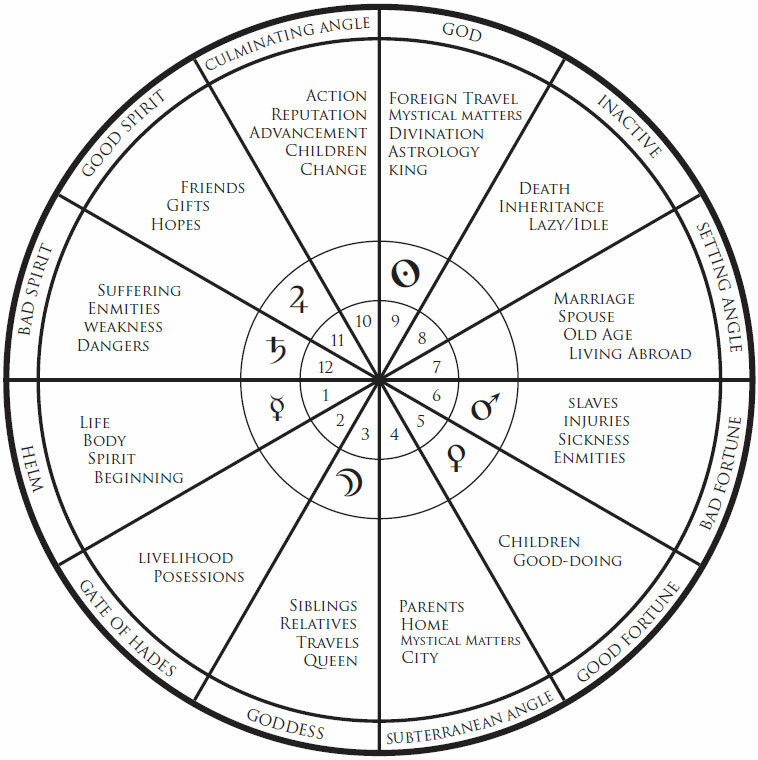 The topic of this month’s show is the issue of house division in Hellenistic astrology, and specifically the question of the role that whole sign houses and quadrant houses played in the early western astrological tradition. This podcast was motivated by a recent discussion on the topic of house division on the Skyscript forum where I outlined my views on the development of the doctrine of house division. The main question there was the extent to which whole sign houses was the primary system of house division in the early Hellenistic tradition, and what role quadrant houses played in delineations. During the course of the show I outline my views on how quadrant houses evolved into a distinct form of topical house division by the late Hellenistic tradition, which was a departure from what was originally primarily a whole sign framework. 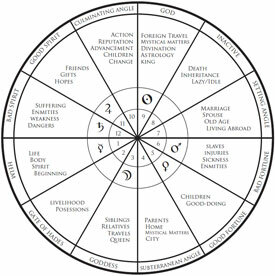 I think that quadrant houses were originally first introduced within the context of the length of life technique, as explicated by Nechepso and Petosiris, but this eventually led to astrologers experimenting with using the degree of the MC for topical purposes. Eventually by the late Hellenistic tradition the astrologers appear to have been using quadrant houses as a secondary topical overlay on top of whole sign houses. 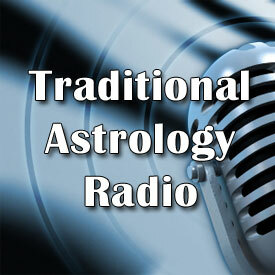 This is the first show that has been recorded since leaving our old page on BlogTalkRadio and setting up the show exclusively on TraditionalAstrologyRadio.com. I will no longer be posting shows on our old page on BlogTalkRadio, so if you would like to subscribe to the show please sign up to our new RSS feed, or subscribe via email, or subscribe via iTunes. I’m still experimenting with the sound quality and different recording devices, and I learned a few things while editing this show that should make the sound quality during future shows much better. If you have any problems with the sound during this month’s show please let me know. The release of Benjamin Dykes’ latest translation, The Book of the Nine Judges, which is a Medieval compilation of texts on horary astrology. Demetra George is doing a retreat titled Traditional Astrology and Modern Practice in March with the South Texas Astrology Retreat group. Please note that during the show I misspoke when I mentioned the URL for their website, which is actually: TexasAstrologyRetreat.org. Ben, Demetra and I released the recording from our conference on traditional astrology in September. You can purchase the Traditional Astrology in the 21st Century CD on my website. If you have heard any other news in the world of traditional astrology that you think that I should mention during the next show then please send me an email and let me know. Nice one Chris. I followed that discussion on Skyscript where you demonstrated a thorough knowledge of astrology. Best wishes for the coming year for you and your loved ones. I really enjoyed your podcast. You clearly have a mastery of the material and a great way of teaching it. Thanks a lot Tony! Glad to hear that you enjoyed it. Very impressive and enlightening. Thank you. Is angularity used to determine the strength of the planets in Hellenistic Astrology? Yes, strength, activity and prominence in a chart. So was angularity only introduced after the Porphory quadrant house system was introduced, or was it already introduced when the Astrologers were using whole-sign? Correct me if I’m wrong, but the definition of angularity seems to imply a quadrant house framework. Right now, my current understanding of angularity is “the degree from which a planet follows a preceding angle.” And this would require a quadrant house framework for determination. No, it was introduced originally within a whole sign house framework. The discussions from Hermes and Nechepso about what constitutes a “chrematistikos” place both talk about the signs themselves as if they were places, and angularity is one of the factors that they take into account. So, within that context they are talking about the four angles as signs. I think that a more accurate definition of angularity within the context of the early tradition is simply a sign that is of the same quadruplicity as the rising sign. In this way all four angles share something in common, although one is associated with the rising, one is setting, one is above the earth, and one is below the earth. So for example, in natal charts, planets are considered angular as long as they are in the same quadruplicity as the rising sign, even if by quadrant houses they might be in cadent houses. So in the context of natal charts, does angularity confer anything else other than strength or conduciveness to business? It is often tricky to separate Hellenistic ideas from Medieaval ideas due to this difference in house system. Being conducive to business is sort of the catch all term that covers everything. One of the additional things that Ptolemy talks about though is how quickly the significations manifest in the life of the native, with angular planets producing very early, succeedent planets with some delay, and cadent planets with much delay, if at all. Earlier you mentioned that in Hellenistic Astrology angularity signifies strength, activity and prominence. Ptolemy talked about how quickly significations manifest; is this due to the strength or activity? I have difficulty differentiating between the two. Imagine: if the planet were a person, and that person is strong at, say sports. Would he not naturally gravitate towards sporty activities? What are the other variables that affect the strength of the planet? In Medieaval, it’s the dignities of the planet. Is this also the case with Hellenistic? Is angularity the only thing that affects activity? I’ve never read about planets being more active except for being due to angularity. Prominence I assume refers to the impact delivered by the planet due to being visible in the sky during the time of birth. Or am I getting this wrong? It could be that prominence leads to strength, and strength leads to activity, and so they are all interchangeable terms.